Students at Alexander Academy have access to the Gale Virtual Reference Library. Note to students: Please remember that these resources are not exhaustive, and there are many more avenues to pursue your studies – though when turning to the web for research, make sure that you evaluate critically the sites that you’re planning on using to make sure that they’re suitable to include in your papers. Canada in Context is an online experience for those seeking contextual information on a broad range of Canadian topics, people, places, and events. The solution merges Gale’s reference content, written from a Canadian perspective, with full-text magazines, academic journals, news, primary source documents, images, videos, audio and links to vetted websites organized into a user-friendly portal experience combined with new features such as Search Assist and quick fact boxes. Opposing Viewpoints in Context is an engaging online experience for those seeking contextual information and opinions on hundreds of today’s hottest social issues. Drawing on the acclaimed Greenhaven Press series, the new solution features continuously updated viewpoints, topic overviews, full-text magazines, academic journals, news, primary source documents, statistics, images, videos, audio and links to vetted websites organized into a user-friendly portal experience. Science in Context is an engaging online experience for those seeking contextual information on hundreds of today’s most significant science topics. The new solution merges Gale’s authoritative reference content with full-text magazines, academic journals, news articles, experiments, images, videos, audio files and links to vetted websites organized into a user-friendly portal experience. Global Issues in Context offers international viewpoints on a broad spectrum of global issues, topics, and current events. Featured are hundreds of continuously updated issue and country portals that bring together a variety of specially selected, highly relevant sources for analysis of these issues. Rich multimedia – including podcasts, video, and interactive graphs – enhance each portal. Use Browse Issues and Topics, Country Finder, Basic Search or Advanced Search to explore the database. Find alternative medicine-focused magazines, journals, newspapers, definitions, directories, videos, & reference information on: Medicine, Nutrition, Diseases, Public Health, Pregnancy, Herbal remedies, etc. Included are links to diet, cancer, health assessment sites & government databases. Easily access 700+ videos from Healthology, Inc.’s consumer health video library. Spanish-language videos are available. The material contained in this Resource Center is intended for informational purposes only. Alexander Academy subscribes to two JStor collections: Language and Literature and Asia Studies, both of which can be accessed here. 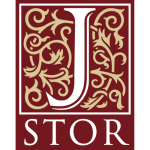 JSTOR, short for Journal Storage) is a digital library founded in 1995. Originally containing digitized back issues of academic journals, it now also includes books and primary sources, and current issues of journals. It provides full-text searches of almost 2,000 journals. 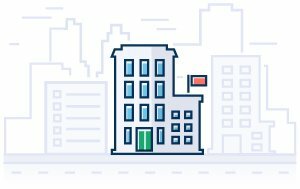 As of 2013, more than 8,000 institutions in more than 160 countries had access to JSTOR; most access is by subscription, but some older public domain content is freely available to anyone.